The widow of slain NYPD Detective Wenjian Liu gave birth Tuesday to a baby girl. NEW YORK -- The widow of slain NYPD Detective Wenjian Liu gave birth Tuesday to a baby girl. The baby was conceived from sperm retrieved and frozen the night Liu died in December 2014. Sanny Liu gave birth to a healthy 6 lbs 13 oz. baby girl named Angelina at Weill Cornell Hospital on the Upper East Side. Liu and his wife had only been married about three months when he was fatally shot, but they had always dreamed of being parents. Remarkably, Sanny never doubted, from the start of this journey, that she would be having a daughter. The night after Detective Liu passed away, she had a dream, in which he handed her a baby girl. "I got pregnant through the (in-vitro fertilization) procedure," Sanny said, "and I told my friend, 'It's going to be a baby girl.' My friend said, 'No, you haven't even checked the sonograms,' but I was right!" Sure enough, her dreams were answered. Now, Detective Liu's legacy can live on through his daughter. And as far as Detective Liu's legacy goes, Sanny can't wait to tell Angelina that her father was a hero. She is also eager to introduce her daughter to the New York City Police Department that she lovingly refers to as her "big blue family." 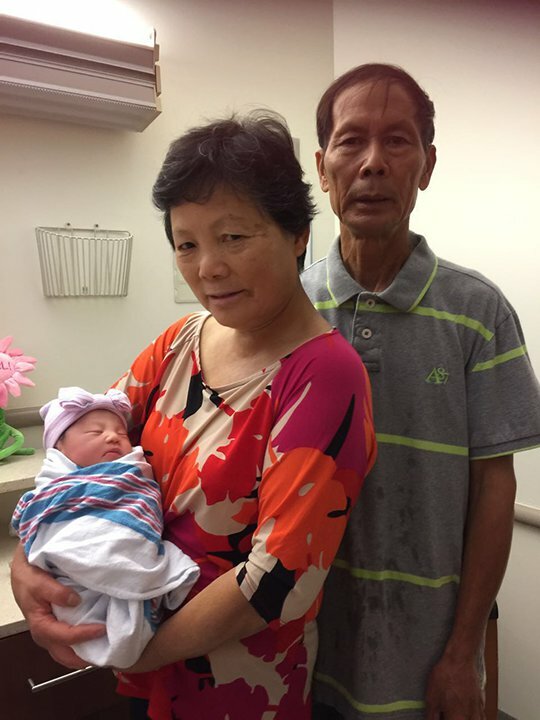 Liu's parents, Xiu Yan Li and Wei Tang Liu, took a picture with their granddaughter at the hospital. 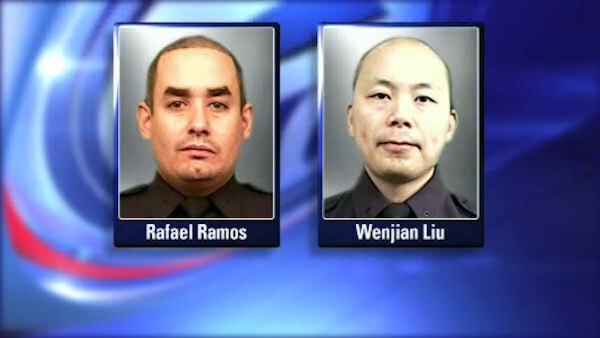 Officers Wenjian Liu and Rafael Ramos were targeted by a gunman on December 20, 2014 who had posted anti-police messages on his social media pages in the days before the shooting.